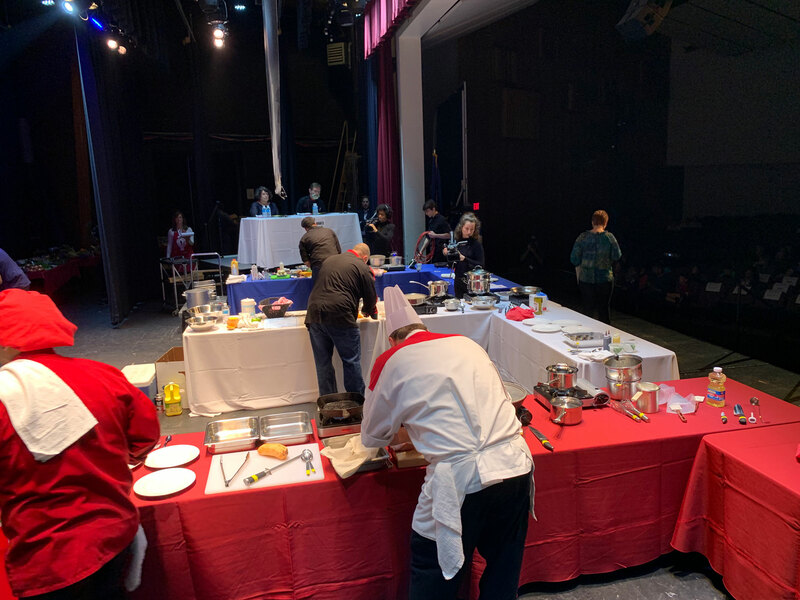 The main event of the Wilson Iron Chef event is the 35-minute cooking competition that pits three of the area’s top chefs in a race against each other and the clock. 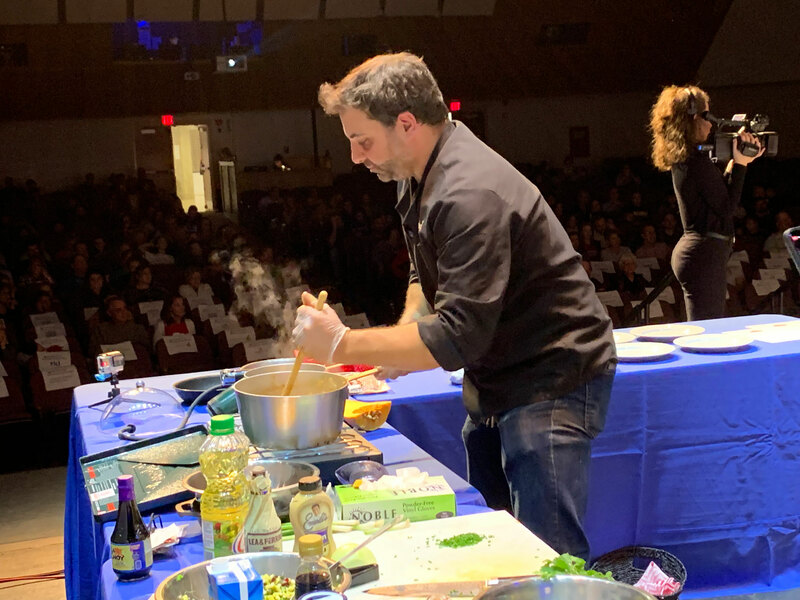 This year’s competitors included defending champion Chef Mike Martino (Adelphia Seafood), past champion Chef Tim Twiford (Redner’s) and last year’s People’s Choice winner Chef Mitchell Kriebel (Gourmand). 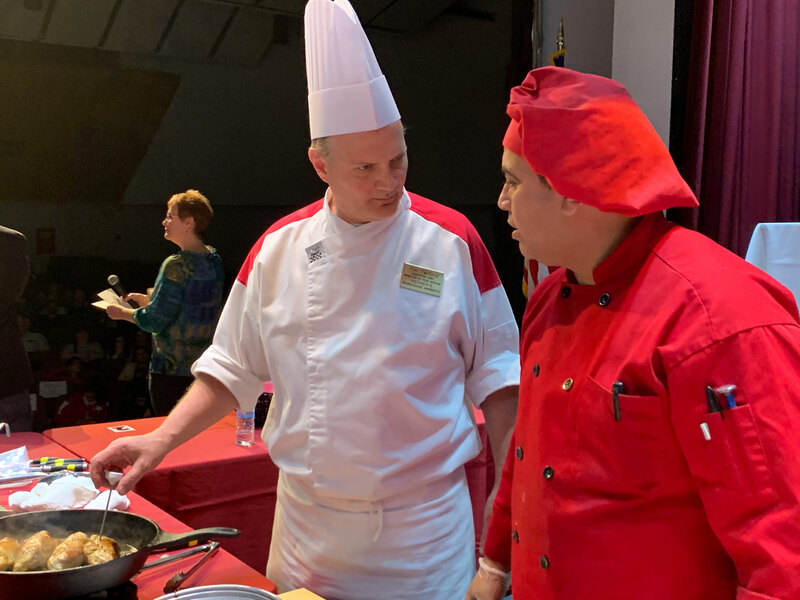 I went into the auditorium for the Iron Chef competition expecting to sit in the audience and enjoy the show, but when it came time to bid on a judge’s seat during the live benefit auction, I couldn’t help but throw my hat in the ring. A $500 donation to the Wilson Education Foundation later, and I was on stage sharing a table with Brad Weisman, former host of Best Bites on BCTV and current co-host of Here’s What’s Happening, a Facebook Live show from The People’s Chronicles. This was my second time judging an Iron Chef competition, having bid on and won a judge’s seat at Hamburg’s Iron Chef competition in 2016. The first three were disclosed to the chefs earlier in the week so they could prepare their menus. The caramel was revealed as the final ingredient the day of the event. 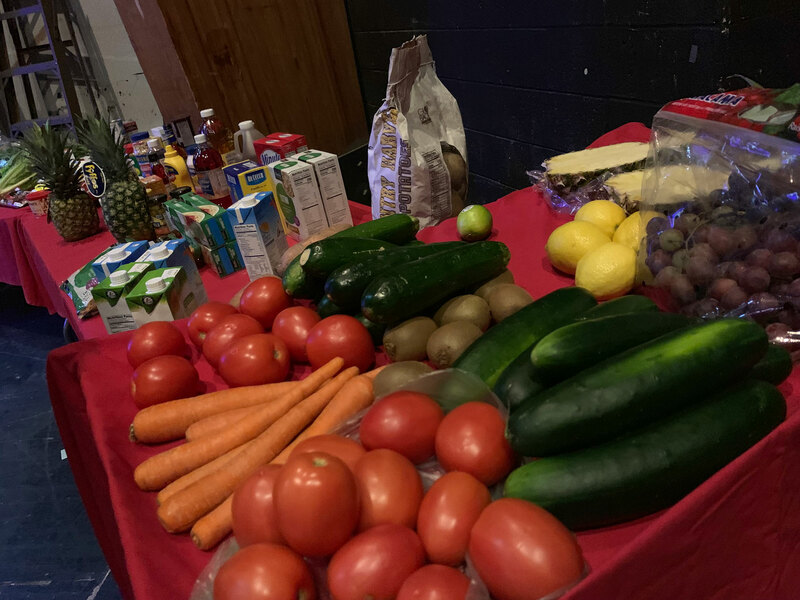 Dishes would be judged on four criteria: composition, visual presentation, flavor and creativity with each category carrying different weight for a maximum of 50 points. As soon as the timer starts, the stage is a whirlwind of activity as the six men bounce from table-to-table preparing their dishes. 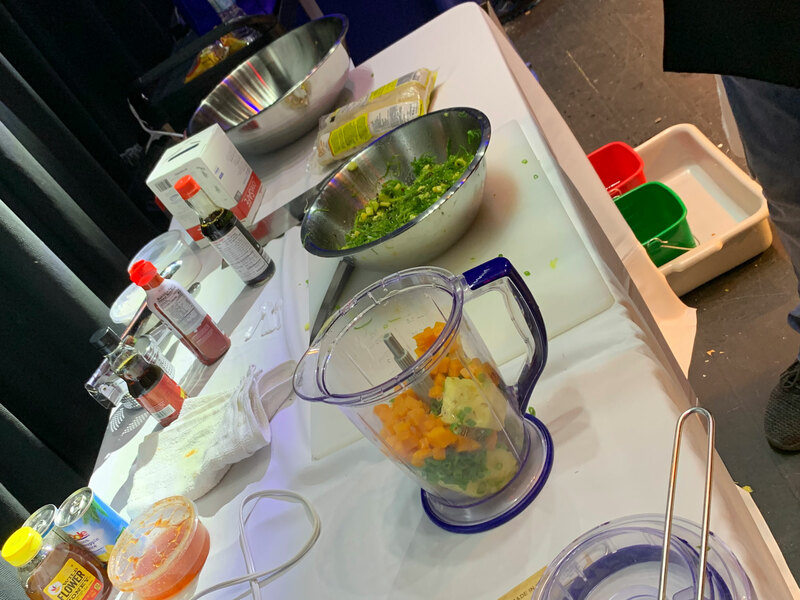 What looks like chaos from the outside is actually a well-planned strategy as chefs and sous chefs have to time everything perfectly to ensure their proteins and sides all are finished on time without finishing too soon to avoid serving the judges cold food. Throughout the competition, I was drawn to Gourmand’s kitchen and the show that Chef Mitchell Kriebel was putting on. First, it was the use of a meat grinder that had us all wondering what was coming (spoiler alert: chili). Then it was the smoker that sent plumes rising up from his table. 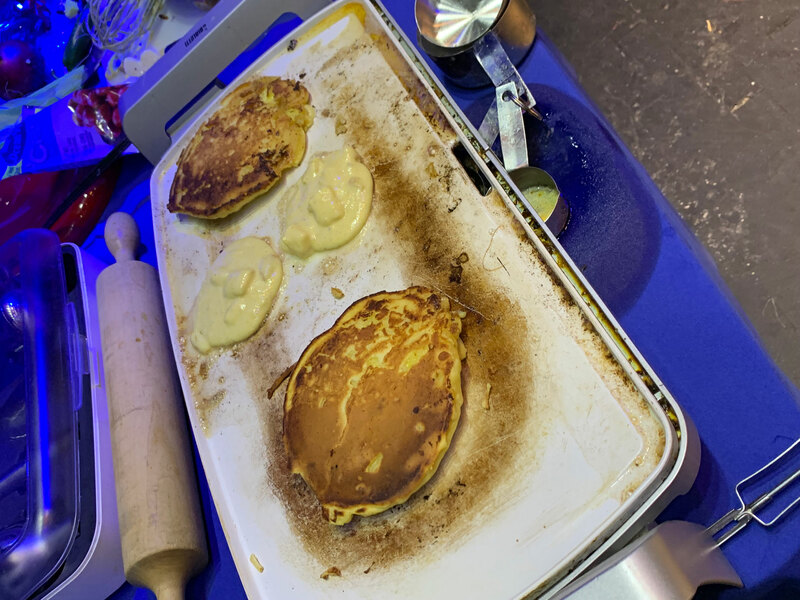 Finally, my attention turned to the griddle that was set up on the prep table and the pancakes that were taking shape (and the cooking oil that kept dripping off onto the table). The defending champion, Chef Mike Martino, was hard at work on his breaded pork chops from the start. 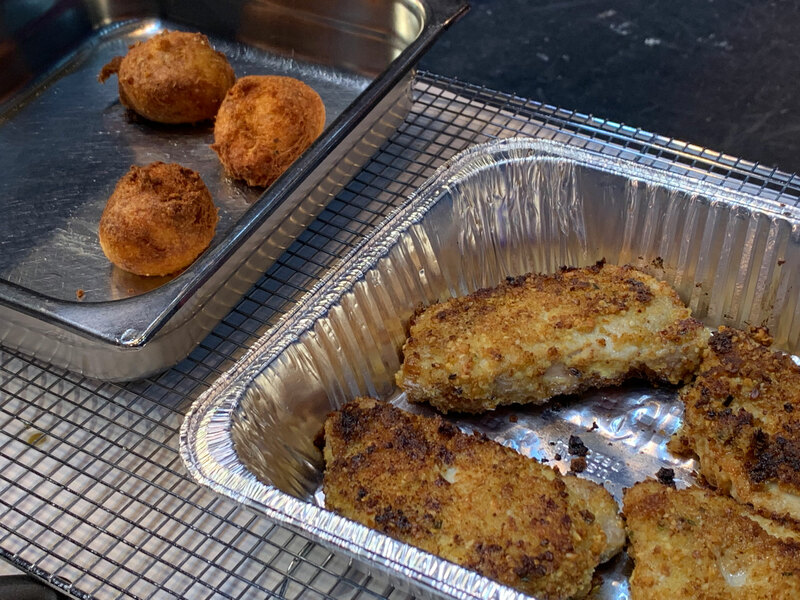 It wasn’t long before they were finishing in the oven offstage and the pineapple croquettes (not sure this was their official name, but it’s the best way I can describe them) were being dropped in the fryer. That was all in addition to the poke towers that were coming together and the sauces that were being crafted at the same time. From my judge’s seat, I had a birds-eye view of Chef Tim at work. He and his sous chef went right to work on the pork and the butternut squash (which had to get boiling for the mash they were creating). The pork was filled with a pineapple-based filling and grilled in a cast iron skillet. 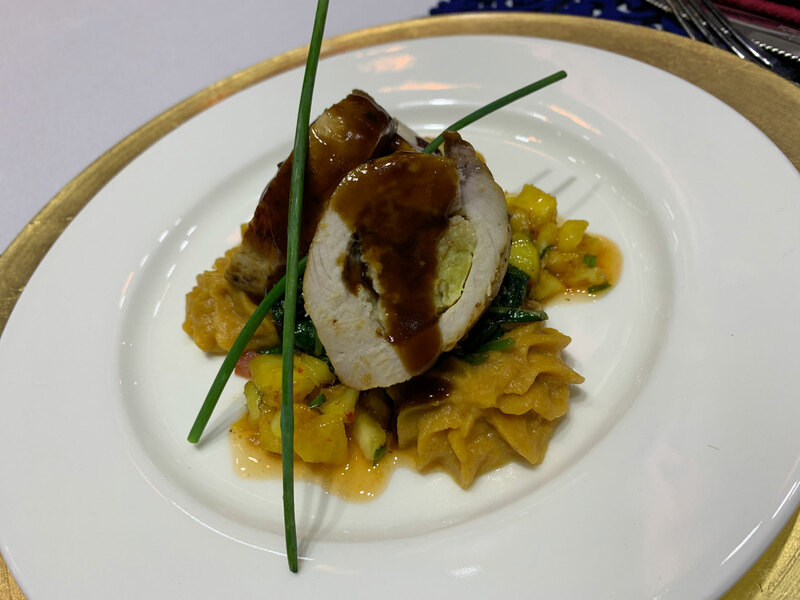 One of the hardest things as a judge was having to watch as the pork “rested” on the cutting board for several minutes in front of me before the countdown truly began and Chef Tim and his competitors began plating. 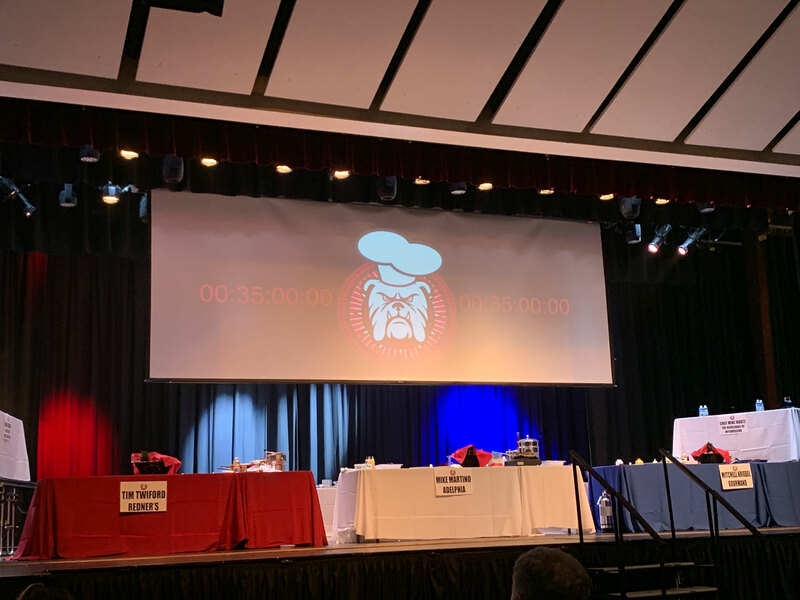 Unlike on TV, the chefs were ready to go before the lights flashed at the one-minute warning and there didn’t seem to be any scrambling as the crowd started their countdown. First to present was Chef Mike Martino. His plate was surf and turf with a Polynesian spin. 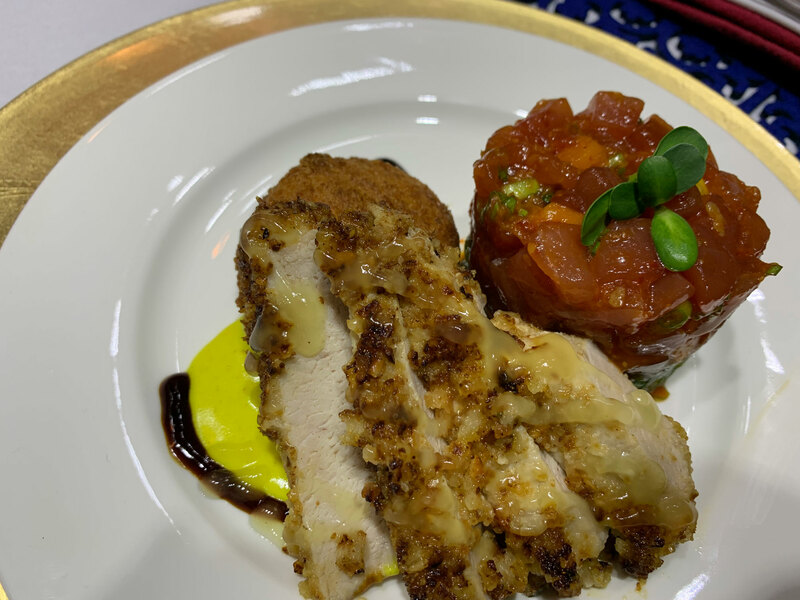 For the main, a crusted pork chop served with three sauces, a pineapple croquette and a side of tuna poke. The pork was excellent, especially with the sweetness from the sweet, coconut-infused curry sauce. Sweet and savory is always a good decision in my book, and I loved it here. I was also very impressed with the pineapple croquette. The pineapple was well-mixed throughout so it felt like one dish and not fruit with a breading. It was certainly a creative way to highlight the ingredient. As I may have mentioned earlier, I am not a fan of seafood. The last thing I wanted to taste was the tuna poke, but – and I can’t believe I’m saying this – I loved it. It was sweet with a little bitterness from the greens, but just so bright and fresh. It was something that I would never order off a menu, but I was glad that it was in front of me on this day. Chef Tim was second to present, and he actually handed the judges copies of his pre-printed menu so there was no doubt what we were eating. First was the iron skillet seared pork chops. They were filled with a pineapple, mango and cranberry filling that I absolutely loved. It was a great way to incorporate the pineapple into the main dish without a sauce. It was accompanied with caramel mashed butternut squash and sweet potatoes. The secret ingredient really worked in Chef Tim’s favor here because the caramel added a perfect amount of sweetness. “It tastes just like pumpkin pie,” as Brad said. Also on the plate was a salad with kale, spinach, Swiss chard, walnuts and red peppers. It just didn’t do it for me as I thought it was rather plain, unlike the grilled pineapple and sweet chili lime compote. That definitely added some great flavor to the plate, a little sweet heat to complement the rest. 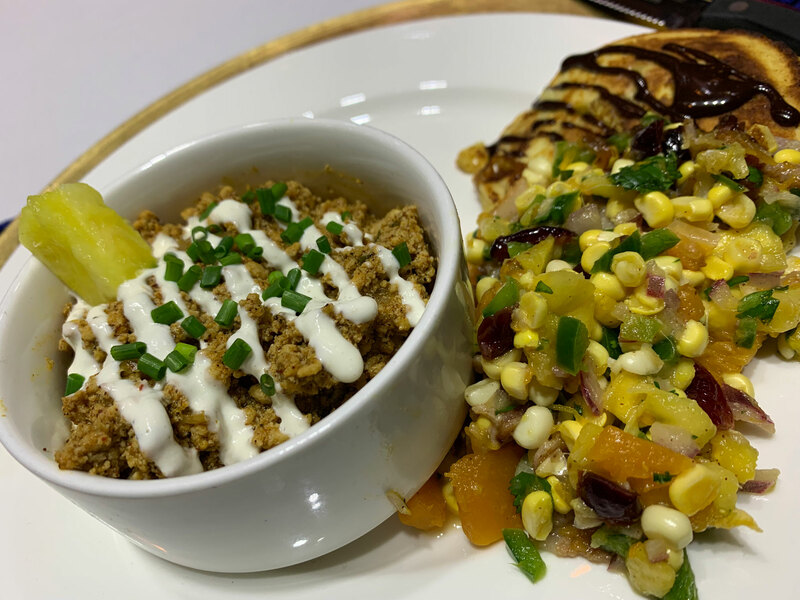 Last to present was Chef Mitchell with his pork chili, butternut squash flapjack and fresh pineapple salsa. The chili packed a punch, and the sour cream on top did very little to cool that off. It was very good, though it didn’t feel like a chili without any broth. It was even better when mixed with the fresh salsa. The salsa featured pineapple, corn, onion and cilantro (along with a host of other vegetables). With the chili, it made for an excellent combination. The flapjack was something I was really looking forward to. The caramel definitely came through, but it was probably a little too strong and took away a little from the overall. Between the chili and the flapjack, I thought it was the most creative use of the four key ingredients. After tasting all three dishes (and being very disappointed when the volunteers took them away from me – apparently $500 doesn’t get you to-go containers), the four judges went to a private room to deliberate. All three plates were excellent, and the room was split. So we had to fill out our individual scorecards and hand them off to a volunteer to tally up the totals. By a margin of just two points, Chef Mike Martino earned the victory over Chef Tim with Chef Mitchell coming in a close third. The real winners, though, were the four judges who got to enjoy these amazing plates from these amazing chefs. And the Wilson Education Foundation, which for the sixth year in a row raised more than $30,000 to support the students and programs of the Wilson Area School District.